Ko Summah Te Kahika-Heemi tōku īnoa. I te taha o tōku pāpā. Ko Ngāti Rere te hāpu. 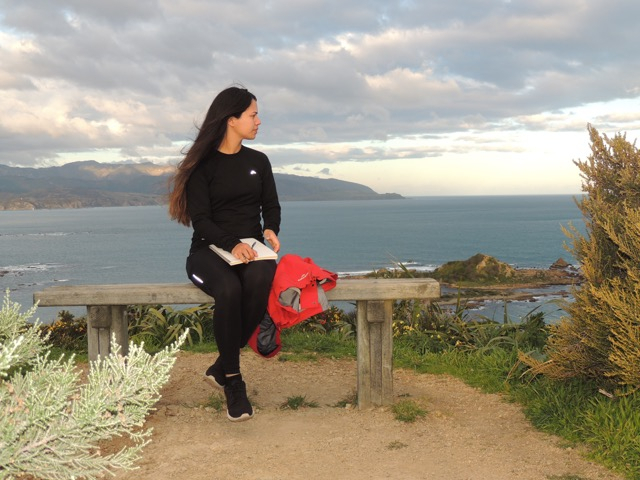 Traveling back and forth between my home in Wellington and the rohe of where my parents grew up in Te Waimana, enabled me to develop a strong connection with my whānau, awa, maunga, marae and hapū. 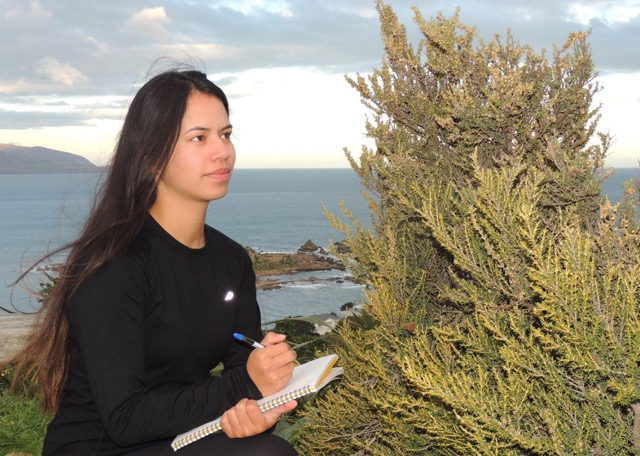 Being exposed to Te Ao Māori from a young age enabled me to gain an understanding of the important roles our natural land features play in our lives, our identity, and our way of living. Te Rohe Pōtae o Tūhoe is enriched with plants and wildlife, whakapapa and wairua. The rural environment of fresh air, dirt roads, dense bush, no street lights, homes divided by paddocks, limited access to wifi, horses as a means of transport, is a familiar and homely setting for me. Alongside my whānau growing up, I remember exploring the creek at Piripari Pā, fishing, and eeling in the awa, caring for orphaned newborn lambs, and burying the ones that don't make it, around the fruit trees to help fertilise the soil. When I attended college, science was a subject that was over looked, it just seemed too hard to understand. Watching my whānau home kill the meat for hākari intrigued me to know more about animal anatomy, that led me to take up the challenge of studying biology as a subject at school. My biology classes complimented my geography classes and it wasn’t long before I realised exactly how much my upbringing, culture and science had in common. These connections allowed me to gain a deeper understanding of the world we live in. It makes me wonder, how many other tamariki out there are also doing science without really realising it, and whether or not they ever have the whaakaro to pursue science as a career choice. University was never a goal of mine. During my final year at college I simply applied and got accepted. I made the decision to pursue tertiary education with the intentions of sticking to it till the end. Since then I've been studying towards a Bachelor of Science double majoring in Ecology & Biodiversity and Geography. After sitting my final Geography exam at the end of 2015, a couple good friends of mine from uni suggested that I apply with Victoria Abroad to do an exchange. It wasn't something I ever saw myself doing, nor was it common for me to hear the words 'Māori’ ‘science' and 'overseas exchange' in the same sentence. I went through the application process and was accepted to complete my undergraduate degree at the University of Hawai'i at Hilo. Knowing who I am, where I come from and what I enjoy doing was what has got me to where I am today. I look forward to sharing my academic journey and bringing forth awareness of the amazing opportunities available for our ranatahi to pursue. Kapai Summer and hang on to your wallet. 3 years ago Ronald Paiaka Heemi. Kia kaha.....na hau te Ao. Ka wani kē. Kino kē koe.